The final test for American and Canadian eventers short listed for the 2010 Alltech FEI World Equestrian Games is this week’s American Eventing Championships. Eventers from all levels will compete along with the WEG teams at Chatahoochee Hills in Fairburn, GA.
Click here to see the U.S. Eventing Team short list. Competition began on Thursday, September 9 and continues through Sunday. 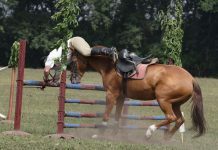 The competition is staggered so that Beginner Novice, Novice and Training level riders will complete their schedule on Saturday. The weekend will finish of with stadium jumping for Preliminary, Intermediate and Advanced entries on Sunday. The WEG Definite Entries for three-day eventing are due on Sept. 25, five days ahead of the first day of WEG eventing competition on Sept. 30. 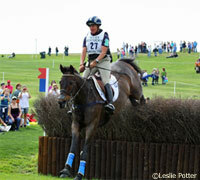 I love eventing, would love to be there.